Ghanaian leading man, John Dumelo continues with his charity works. 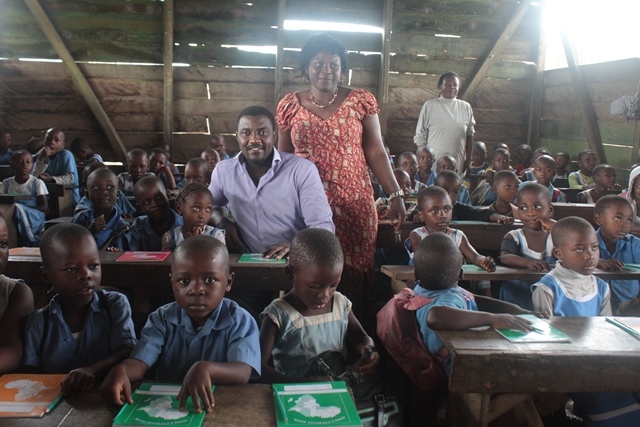 The St.John Of God Catholic School in Cameroon, was the latest beneficiary of the John Dumelo Foundation as he donated school supplies including pencils, exercise books and erasers to over 100 pupils of the school. The school, located in a town called Bonadikombo, about 6 km from Limbe where the actor had been filming, also benefited from boxes of chalks an unspecified amount of money to help in running the school. John Dumelo visited Cameroon right after his short trip to the US, and he was in the coastal town of Limbe where he shot a movie as well as part of his upcoming reality TV show. The donation took place when I rounded the movie and he promised to go back to help renovate the school building. This is the second country outside Ghana that the actor and fashion entrepreneur has expanded operations to. He has also been in Sierra Leone, where he did similar donations about 3 months ago. In Ghana, he has donated to schools in rural areas including the North, Eastern, Western And Central Regions. So far all the activities of the foundation in the last 5 years of existence have been self-funded by John Dumelo. 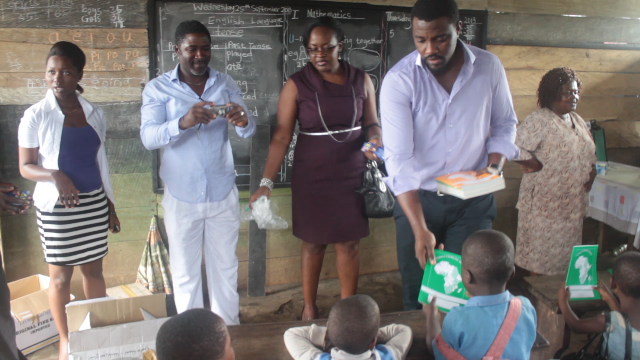 Actor John Dumelo donates school supplies to deprived school in Cameroon 0 out of 5 based on 0 ratings. 0 user reviews.